Electrical Field Service Engineer £29100k - £38500k W. Midlands Would you like to work for a market leading German engineering company that really looks after their employees? We're looking for a customer focused Electrical Engineer who wants to join a unique German engineering company owned and run by its employees, similar to Waitrose. You'll be entrusted with clients ranging from luxury hotels to doctors surgeries and be seen as the face of a company you can feel proud to represent. Would you like to work for a market leading German engineering company that really looks after their employees? We're looking for a customer focused Electrical Engineer who wants to join a company were you will be treated like a person and not just a number. The client are a unique German engineering company owned and run by its employees, similar to Waitrose or John Lewis. You'll be entrusted with clients ranging from luxury hotels to doctors surgeries and be seen as the face of a company you can feel proud to represent. The nature of the role includes electrical maintenance, install and service to our clients own innovate product range. Being a German company quality is their main priority, with the plant out in Germany using some of the latest manufacturing techniques to build new and innovative machines, some with a value of up to £1.5m. In layman's terms what they make is an enhanced version of your family dishwasher, designed to wash and dry up to 40 items in under a minute on a commercial basis. This kind of kit will be used in airports or large retail units as well as major pub chains. We have placed engineers like Lee who had found it difficult to secure a permanent role after serving in the armed forces for the past fifteen years. He had spent the past few years stuck moving from contract to contract and hadn't attended an interview for a long time. Lee is now a well-respected engineer with a more than stable work history, dealing first hand with clients in one of Europe's Largest Shopping centres. Lee is a family man and can't put his hand up for as much overtime as he would like, but still easily takes home £37k per year and loves the company benefits he receives. For our client it means that they have a commitment to you and to fulfil the promises they have made to over 33 engineers over the past 5 years during a sustained expansion period. You'll receive a £2000 non targeted bonus paid quarterly just to keep you motivated and feeling wanted by the company. BUPA healthcare, a 5% non-contributory pension and over £1000 in annual call out earnings. As you can see this opportunity comes with a decent basic salary and the opportunity to earn an extra £7k in overtime. Please send your CV and covering letter to r.whiston@bluefireconsulting.co.uk. If you haven't got a CV please pick up the phone and give us a call, my number is 07393013013. 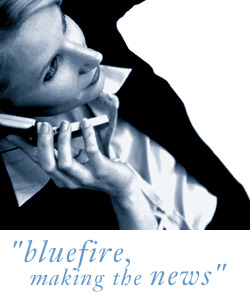 Bluefire Consulting Ltd is an employment agency acting on behalf of the client company.